Susan Silton’s exhibition will include pieces from two bodies of work — six prints from her Aviate series and the video projection hemidemisemiquaver. For Aviate, Silton scanned images from an early 20th century bird guidebook, saturated the color and altered them digitally, before re-presenting them as photographs. For the video hemidemisemiquaver, Silton spun around, camera in hand, at various locations — disrupting her balance and, in turn, her vision, capturing the ambiguity and frenzied beauty of modern life. The title refers to a term in musicology which denotes a 1/64th note, which is very fast and fleeting. In both bodies of work, the original subject, in its stationary state, is far removed from the final image. Through work that alternates between motion and stasis, Silton examines the limitations of perception on the construction of identity based on classification. The workÕs conceptual framework is supported through diverse mediums including photographic-based installation, and offset lithography, sometimes independently and sometimes coexisting within a given piece. Silton currently lives and works in Los Angeles, California. Her work has been presented in solo exhibitions at the Angles Gallery in Santa Monica, the Robert V. Fullerton Art Museum in San Bernardino, SF Camerawork in San Francisco, as well as in group exhibitions at the Cooper Hewitt National Design Museum/ Smithsonian Institution in New York, Art Frankfurt, Frankfurt, Germany; Allianz Zeigniederlassung, Berlin, Germany and at the Los Angeles County Museum of Art. 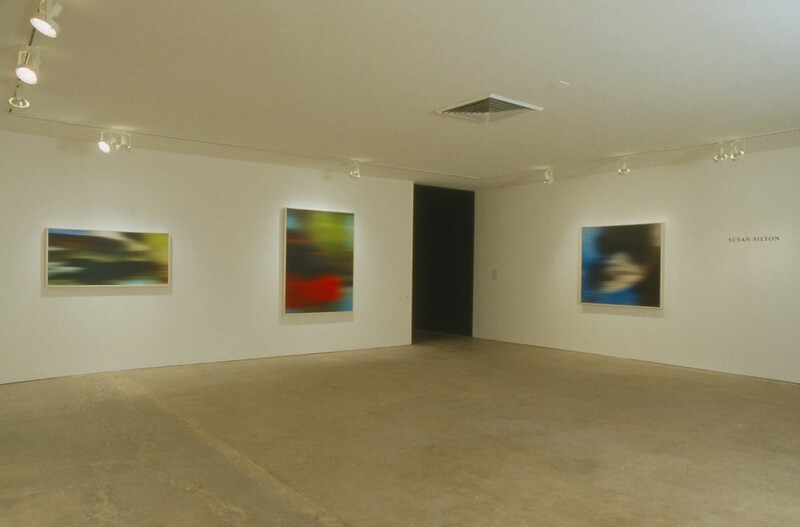 She was the recipient of a James D. Phelan Art Award in Photography in 1995. Susan Silton is organized by SITE Santa Fe, courtesy of the artist and Angles Gallery, Santa Monica, California. SITE Santa Fe’s Projection Room is partially funded by Sharp Electronics Corporation.